Dec. 19, 2018 Tweet - "It's the 4th anniversary of the #ABLE Act becoming law &#8594; As ability advocates, we must continue to explore new frontiers and advance solutions that empower more people to reach their full God-given potential, especially in America's growing economy." Dec. 19, 2018 Tweet - "The #ABLE Act turned 4 today. For me, ensuring those who are part of the disability community have every possible chance to live happy, healthy, and productive lives is not just good policy, it's personal." Dec. 19, 2018 Tweet - "I'm proud we are celebrating the fourth anniversary of the ABLE Act becoming law. It marked a new chapter filled opportunity and independence for Cole and the millions of Americans, like him, living with a disability." Nov. 5, 2018 Tweet - "With #taxreform, we built upon the success of the #ABLE Act so people with disabilities can explore work and pursue their version of the American Dream." Oct. 30, 2018 Tweet - "I led the effort to include provisions important to those with disabilities in #taxreform, and today I'm proud to say we're knocking down barriers that often trap people with disabilities in poverty." Oct. 27, 2018 Tweet - "Our society has no place for anti-Semitism, hatred and violence. No one should live in fear of practicing their faith. Religious liberty is a cornerstone to our country's deepest and dearest values that we all cherish." Oct. 23, 2018 Tweet - "My #ABLE to Work Act, which was signed into law in tax reform, makes it easier for people with disabilities to explore the workforce and save more of what they earn. #DownSyndromeAwarenessMonth"
Oct. 23, 2018 Tweet - "For me, ensuring those who are part of the disabilities community have every possible opportunity to live happy, healthy, and productive lives is not just good policy, it's personal. #DownSyndromeAwarenessMonth"
Oct. 21, 2018 Tweet - "When we provide opportunities for people--no matter their walk of life--and unleash their full potential, there's no telling what we can accomplish together. #DownSyndromeAwarenessMonth #NationalDisabilityEmploymentAwarenessMonth"
Oct. 19, 2018 Tweet - "October is #DownSyndromeAwarenessMonth and #NationalDisabilityEmploymentMonth. Here's a deep dive back into what Republican policies mean for the disability community." Oct. 17, 2018 Tweet - "Just like everyone else, people with Down syndrome and other disabilities have dreams and aspirations. They want to go to college, find a career, and pursue their passions. #DownSyndromeAwarenessMonth #NationalDisabilityEmploymentAwarenessMonth"
Oct. 15, 2018 Tweet - "My #ABLE to Work provision in the #TaxCutsandJobsAct allows those with disabilities to explore the workforce and pursue their passions. It will help people with disabilities, including Down syndrome, live more happy, healthy and productive lives. #DownSyndromeAwarenessMonth"
Oct. 14, 2018 Tweet - "October is #DownSyndromeAwarenessMonth & #NationalDisabilityEmploymentAwarenessMonth. Did you know that #taxreform builds on the legacy of the #ABLE act to create more opportunities for people with disabilities? Here's how:"
Oct. 13, 2018 Tweet - "This Congress, we provided a significant increase in funding for the NIH #INCLUDEproject to unlock the mysteries of the 21st chromosome. #DownSyndromeAwarenessMonth"
Oct. 12, 2018 Tweet - "Just like everyone else, people with Down syndrome and other disabilities have dreams and aspirations. They want to go to college, find a career, and pursue their passions. #DownSyndromeAwarenessMonth"
Oct. 11, 2018 Tweet - "This is just one example of how socialism & communist regimes destroy the human rights of women and girls. It's the inalienable rights of life, liberty, & the pursuit of happiness that empower women to flourish and achieve our dreams. #DayOfTheGirl"
Oct. 9, 2018 Tweet - "After graduating high school, Blake rolled up his sleeves and started his own snow cone business, @Blakessnowshack. He's living his dream, and like my son, he has Down syndrome. #DownSyndromeAwarenessMonth"
Oct. 8, 2018 Tweet - "Just like everyone else, people with Down syndrome have dreams and aspirations. They want to go to college, find a career, and pursue their passions. For many, that means finding a job that empowers them to live meaningful and independent lives. #DownSyndromeAwarenessMonth"
Oct. 7, 2018 Tweet - "Great news The employment rate for people with disabilities has also jumped sharply over the past two months. #BetterOffNow"
Sept. 25, 2018 Tweet - "Blake, who runs @Blakessnowshack, is living his dream. Because of #ABLE to Work in tax reform, he will be able to save more of what he earns in order to live a fuller and more independent life." Sept. 20, 2018 Tweet - "Every human life has value. Period. Remember what Frank Stephens said, "I'm a man with Down syndrome and my life is worth living. 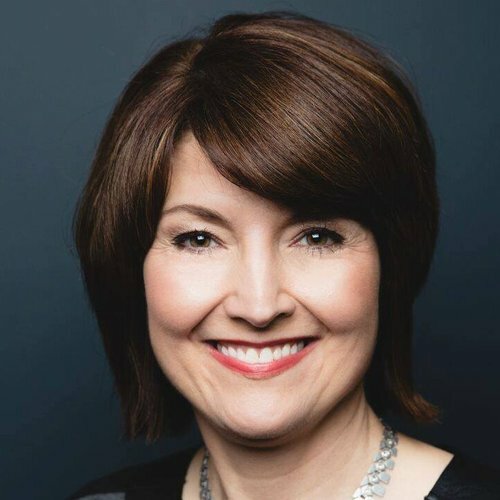 "CathyMcMorrisRodgers added,"
Sept. 9, 2018 Tweet - "#ABLE to Work is helping people with disabilities save more of their own money as they explore work and find a job that gives them independence, dignity, and purpose." Sept. 7, 2018 Tweet - "Washington state just launched #ABLE accounts to help more people with disabilities save for their future. Here's how #ABLE came to be. It all started with one dad's idea." Aug. 23, 2018 Tweet - "#ABLE Accounts just launched in WA. I was proud to work on this nationally to allow people with disabilities & their families the ability to save for their future and use those savings for living expenses. Recently, I held a forum in Spokane for local families to learn more." Aug. 17, 2018 Tweet - "Thanks to provisions I worked for in #taxreform, 50,000 people in my state, who are eligible for #ABLE accounts, will be able to save more of what they earn and explore the workforce. It will help them find a job that gives them independence, dignity, and a purpose." Aug. 16, 2018 Tweet - "This is what it means to be an ability advocate (Special Character) "We don't view Andy as a person with a disability," said Dawn Hanley, who is Bennett's immediate supervisor at the store. "He's an amazing employee who always goes above and beyond." Aug. 8, 2018 Tweet - "Low unemployment creates job opportunities for those with disabilities. #BetterOffNow"
Aug. 4, 2018 Tweet - "Just like we did in tax reform with my ABLE 2.0 provisions, our work must continue to close the gap between the 70 percent of Americans with disabilities who look for employment and the fraction of those who find it." Aug. 3, 2018 Tweet - "My bill, the #ABLE Financial Planning Act, became law in #taxreform. To help parents care for their child with a disability, it allows them to roll over funds from a 529 account into an #ABLE account." July 29, 2018 Tweet - "One way we can continue to support those with Down syndrome and other disabilities is by ensuring they have the resources available to them to live full and independent lives. That's what my ABLE provisions in the #TaxCutsandJobsAct do." July 27, 2018 Tweet - "I'm glad to see that Twitter is taking the shadowbanning allegations seriously by examining its algorithm. It's important that we trust the platforms that we communicate on daily." July 26, 2018 Tweet - "The Americans With Disabilities Act gave more than 50 million Americans with disabilities, just like my son Cole, the chance to pursue their dreams and be defined only by their potential -- not their limitations. #ADA28"
July 23, 2018 Tweet - "Because of #ABLE to Work in tax reform, Blake will be able to save more of what he earns in order to live a fuller and more independent life." July 21, 2018 Tweet - "#ABLE to Work is about giving every person the opportunity to achieve their version of the American Dream"
July 18, 2018 Tweet - "The #ABLE Act marked a new chapter for people with disabilities-- one of empowerment, opportunity, and independence." July 17, 2018 Tweet - "What does a job mean for someone living with a disability? A job is "life-changing." That's why I worked to expand #ABLE accounts in #taxreform to help more people explore the workforce." July 10, 2018 Tweet - "The dignity of work is what gives us a purpose. A job means so much more than just a paycheck. That's why I worked to expand #ABLE accounts in #taxreform so that people with disabilities are empowered to explore the workforce." July 8, 2018 Tweet - "#ABLE is empowering people with disabilities at every stage of their life. They can use ABLE accounts to: pay for their education cover medical expenses find a job commute to work and so much more." July 7, 2018 Tweet - "The #TaxCutsandJobsAct expands on the legacy of the #ABLE Act. For people living with a disability, here's what that means." July 3, 2018 Tweet - "For moms like me, who are raising a child with a disability, I am proud that my ABLE 2.0 provisions were signed into law in #taxreform to allow our children to explore the workforce." July 1, 2018 Tweet - "Kayla, you're a trailblazer and an inspiration to us all. Thanks for your help to get #ABLE to Work across the finish line. You are showing the world what's possible when we focus on ABILITY." June 30, 2018 Tweet - "#ABLE to work allows people with disabilities to explore the workforce and find a job that gives them purpose." June 22, 2018 Tweet - "6 months ago we expanded the #ABLE Act with my bills included in #taxreform. Now people with disabilities can save more of what they earn as they explore the workforce and find a job that affirms their dignity and purpose."